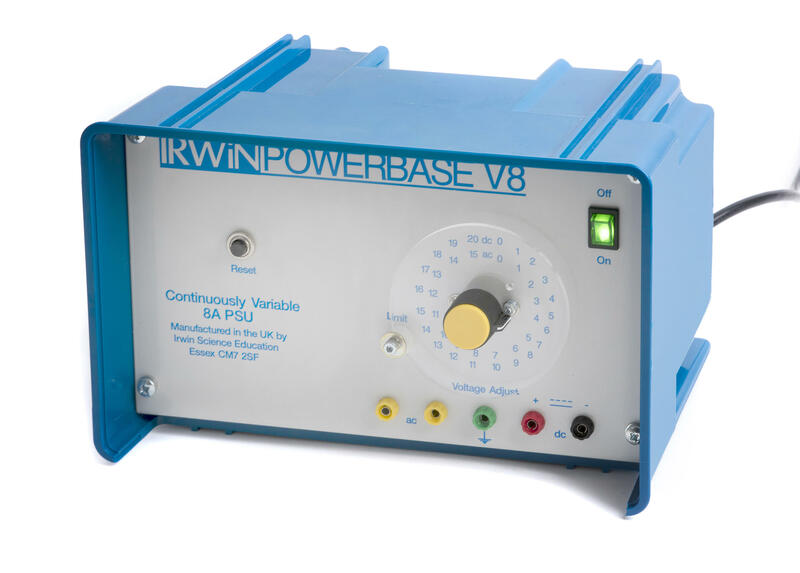 The updated version of the Irwin Powerbase 32. Essentially it is the same as the 32 but has a higher power rotary transformer and a high specification toroid transformer replaces the original chassis transformer. The unit supplies 0-20V smoothed dc and 0-16V AC at 8 amps. 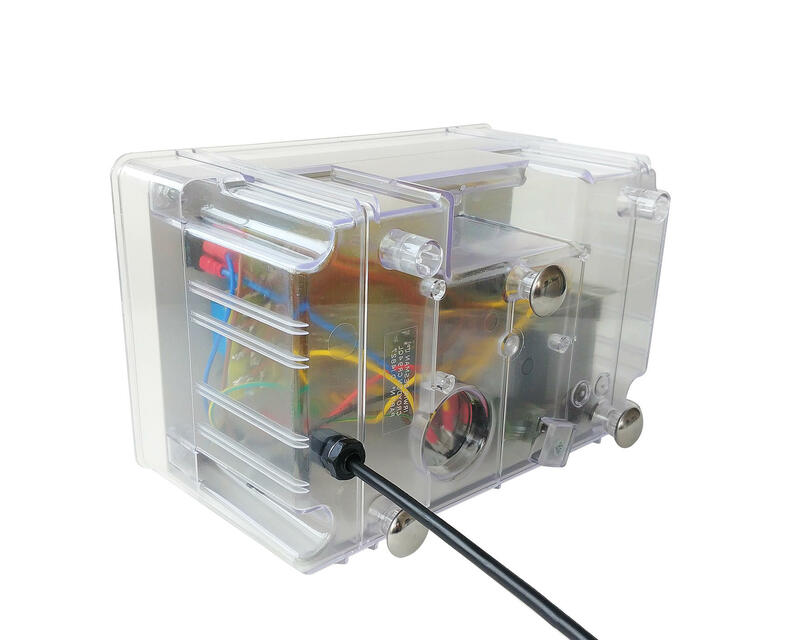 The output is continuously variable and protected by a panel mounted thermal cut out. An output limiter is fitted which allows the user to preset the maximum voltage available. 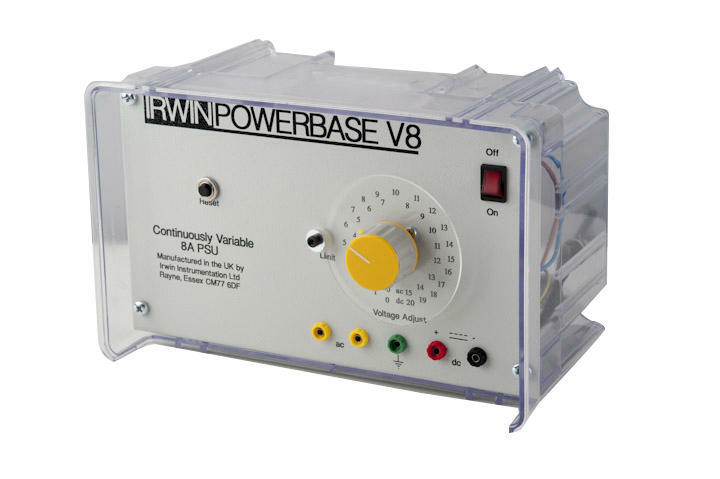 A heavy-duty power supply for powering laboratory experiments. Output current 8A. Output voltages are rated at 8A load so higher voltages are available at less output current. AC and DC outputs may be used simultaneously up to rated current.